This snowman hat is attached to a headband to make it easy and comfortable to wear and with attached bells you will be sure to jingle all the way Available in one size to fit most, this Crimbo Hat is a great accessory for Christmas parties, fancy dress parties and lots more! 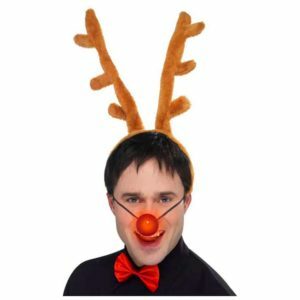 This fun and festive fancy dress accessory is perfect for Christmas. The hat is red, with a green base and pom pom. 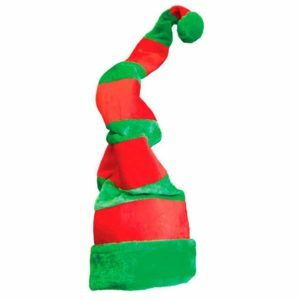 This red and green Christmas Elf hat, with it skin coloured elf ears, is perfect for Christmas Day, Christmas parties or any fancy dress occasion. One size fits all. 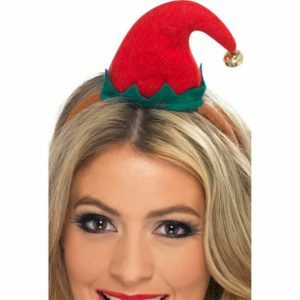 This mini elf hat adds a cute touch to your Christmas outfit. 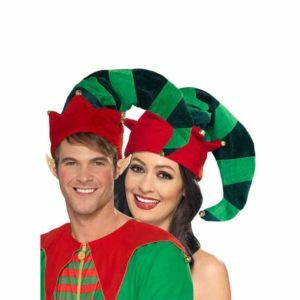 This festive headpiece comes in a one size headband with a bell on the end, so you can jingle all the way! 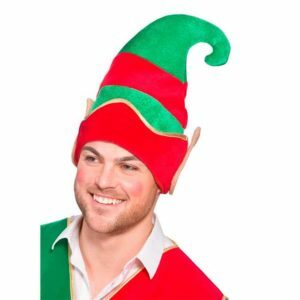 This Plush Elf hat has light and dark green stripes, with a red base and bell on the top, perfect for completing your elf costume this year! This Reindeer Set is perfect for Christmas fancy dress. Included are horns, a flashing nose and bow tie. It's ideal for men. 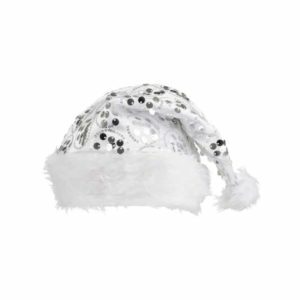 This white santa hat will make a great addition to any costume this Christmas. Decorated with sequins and made from soft white fabric. 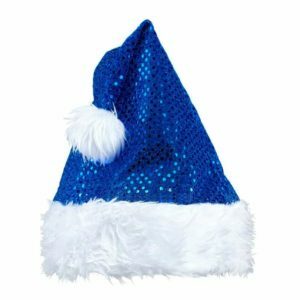 Stand out from the crowd this Christmas, with our blue sequin Santa Claus hat. 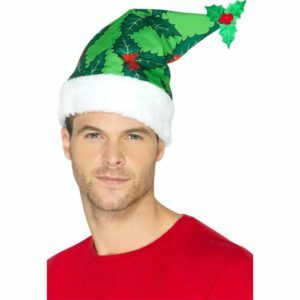 This Santa Hat features a holly berry design in green with a leaf decoration at the top. Perfect for dressing up any outfit this Christmas! 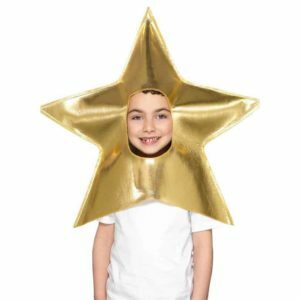 Ideal for school nativity plays or for shining at any Christmas party, this gold star headpiece comes in one size. The headpiece has velcro up the back and has a hole in the front for the head. 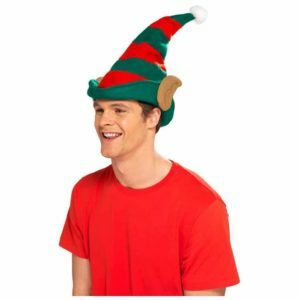 This red and green Christmas Elf hat, with it skin coloured elf ears, is perfect for Christmas Day, Or for any fancy dress party throughout the year. 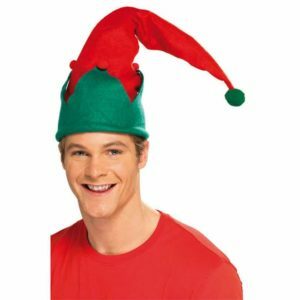 This amazingly tall elf hat will definitely get you noticed. 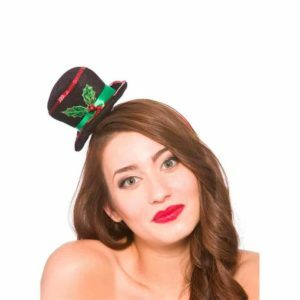 A stand out Christmas hat that will make the perfect accessory for Christmas day, Christmas parties or any fancy dress occasion.